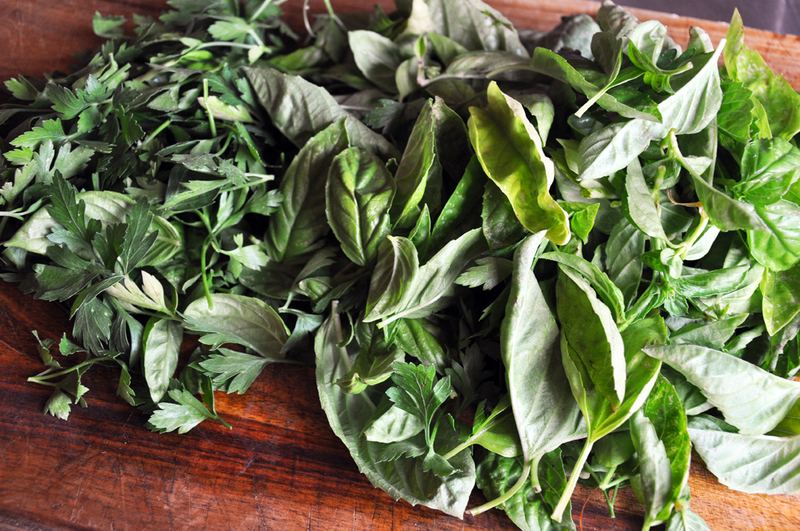 In a large pot of salted, boiling water, blanch the herb leaves for 20 seconds. Drain and shock in an ice bath. Dry on paper towels or in a salad spinner. 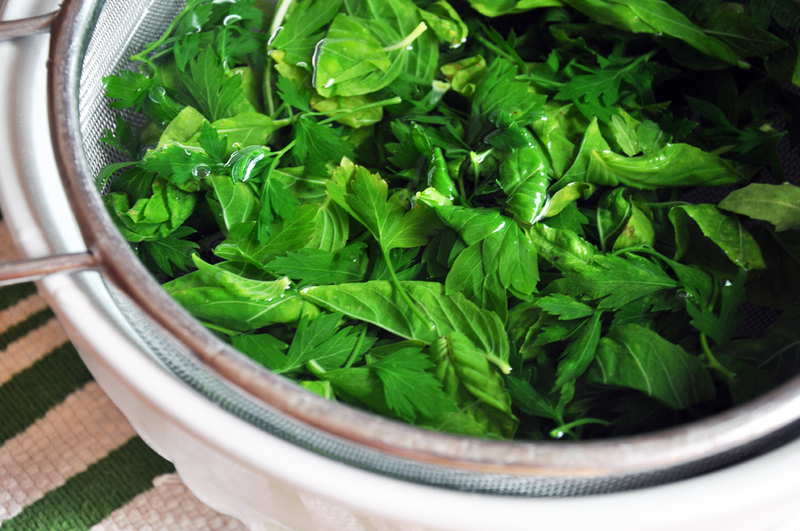 In a food processor, puree the herbs, 1 cup EVOO and 1/4 tsp salt until well combined. Set aside. Heat a grill pan or grill to medium-high heat. 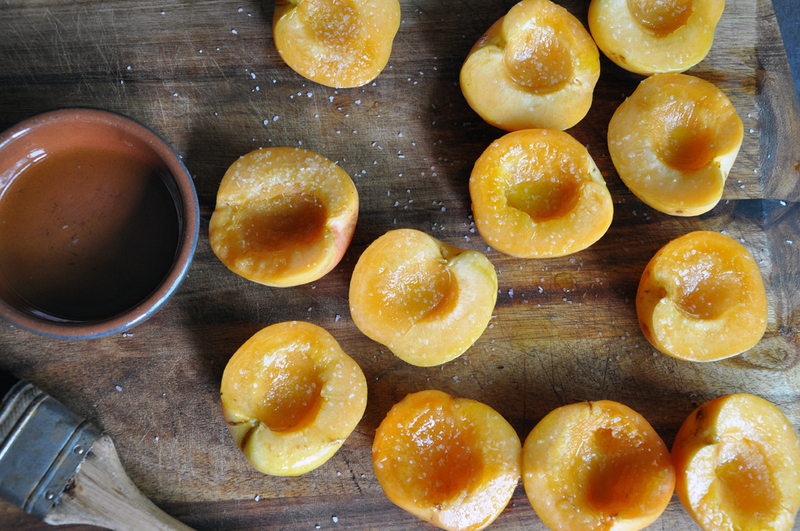 Brush the apricot halves with the remaining EVOO and sprinkle with remaining salt. 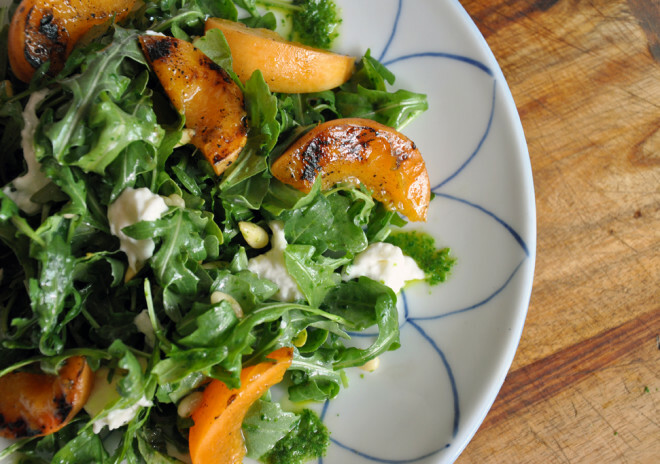 When the grill surface is hot, lay the apricots, cut side down, onto the grill at 2PM so the grill marks go diagonally across them. Grill 2-3 minutes until you get the marks being careful to pull them off before getting mushy. Remove, let cool slightly and chop or slice. To assemble the salad, mix together arugula and pine nuts in a large bowl. Add 3-4 Tbsp basil oil and toss well. Divide among four plates and dot with cheese and apricots. Serve with extra oil or reserve for another use (like pizza! ).